Paslode Staple 1-1/2 in. LEG X 1/2 in. 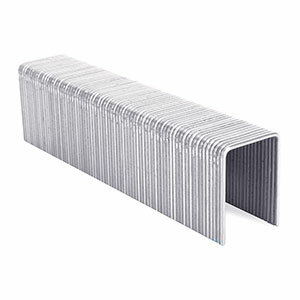 PRODUCT: Paslode Medium Crown Staples. 1-1/2 inch Leg X 1/2 inch Crown. 10,000/Box. Price/Box. DESCRIPTIONS:The Paslode Medium Crown Staples are glavanized for corrosion protection and are extra strong for tough jobs. Used in Paslode type medium crown staplers.